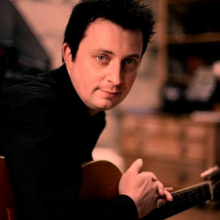 Johnny Sharp is a Devon born singer-songwriter and multi-instrumentalist. He started learning the guitar when he was just six years old and was performing professionally at seventeen. Mostly self-taught and a naturally gifted musician he has worked with Producer Paul Corkett (The Cure, Biffy Clyro, The Coral) and has toured with legendary bands such as Blondie & Simple Minds and performed at festivals such as Glastonbury & the Isle of Wight. He is a graduate of The London Music School and was taught by phenomenal Irish acoustic guitar legend Eric Roche (R.I.P 4:12:67 - 6:9:05) and Ian Dury & The Blockheads guitarist Merlin Rhys Jones. 2013 sees the forthcoming release of his third solo album with a fresh line up of fine musicians and a UK tour planned for 2014.